Lycopene side effects are more linked to quantity and are the same side effects as you’d have from taking too much of any vitamin or antioxidant. It could interfere with your body’s natural defense and coping systems like the immune system or your body’s overall balance. If you are considering taking lycopene to help improve your prostate health or to even help decrease your risk of age related diseases, including macular degeneration and heart disease you need to figure out what the recommended dose is. Numerous studies have been done on lycopene, but there is no general agreement on what the correct dosage should be. In one study done by Harvard investigators over 48,000 men took a daily dose of lycopene, the dose that they were taking was at least 6.5 mg per day of Lycopene. As with any vitamin, you need to know the recommended dose, so that you do not overdose on the vitamin. 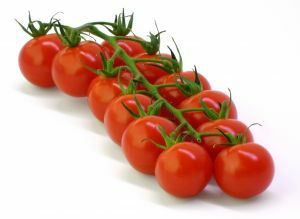 Most people think that because Lycopene is a vitamin that you cannot overdose on it, but that is not necessarily true. While you can’t overdose on lycopene as you can with painkillers or other medications, too much of the lycopene is not a good thing. Studies have been done that show taking too much of a specific vitamin can inhibit your body’s immune system; it can also affect how well your body can repair itself. Something else to think about is that if you take too much of a certain vitamin, such as lycopene, your body’s natural balance is going to be off. Having an imbalance in your immune system can cause health problems, but no known side effects like this are present for lycopene. Other scientists believe that if you ingest too much of a specific antioxidant, such as lycopene that you can reduce your body’s ability to absorb other vitamins and nutrients that your body needs. You can also reduce the potency of other antioxidants by ingesting too much of a specific one. The best way to ensure that you are not getting too much is to eat a well balanced diet that includes all colors of the rainbow, especially with fruits and veggies. For example, lycopene is found in abundance in tomatoes and anthocyanin is found in blueberries. The more colors you eat the more variety you will get with antioxidants and other essential nutrients. One thing that people often wonder about when it comes to lycopene is if there are any lycopene side effects that you have to worry about. With all of the studies that have been done, there are no lycopene side effects that you have to worry about, nor are there any well-known drug interactions with lycopene. Lycopene side effects in pregnancy have not been studied, but no side effects appear in pregnant women and their newborn babies from eating diets rich in lycopene.